Fireye 45UV5-1101CEX Scanner Cenelec EExd IIC explosion proof housing with 45UV5-1101 scanner. 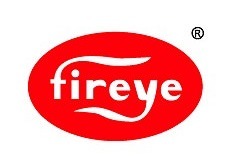 Fireye Type 45UV5 scanners are self-checking, flame sensing devices…. We can offer you great assistance and pricing on the Fireye 59-497-140R Factory wired cable assembly (59-497) with right angle connector (129-164R). 140 feet….